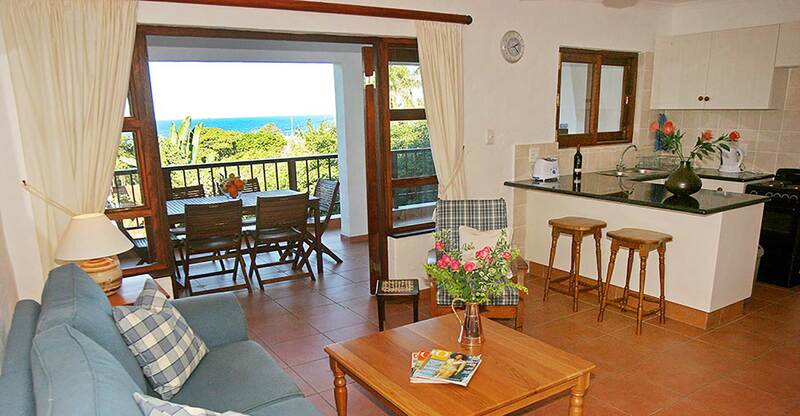 Upmarket Self-Catering or B&B unit uniquely situated in a subtropical, secluded garden, surrounded by coastal forest yet only 180metres to a lovely bathing beach. Two 2, bedroom family units with full bathroom, lounge, fully fitted kitchens opening onto patio overlooking the sea. One 1, bedroom garden unit, shower, open plan kitchen/lounge. Parking secure and undercover, sep braai facilities, serviced daily DSTV. 7mins to Umhlanga.